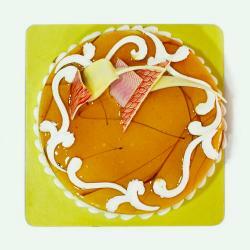 This is a pineapple flavored cake that you can gift to your loved ones on their special events and give special surprise. 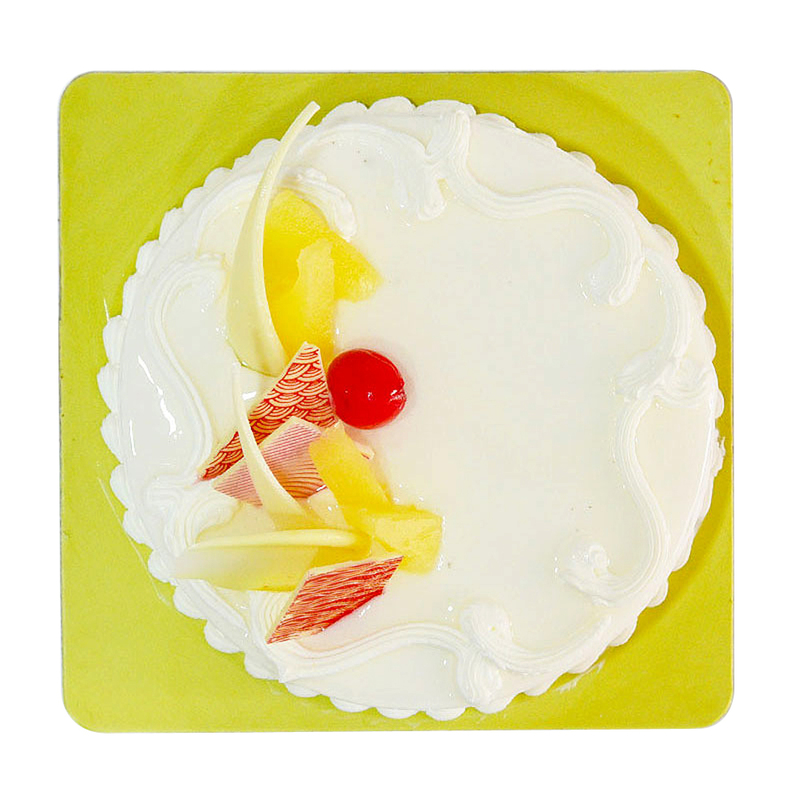 Trendy and sinfully delicious pineapple cake is one of the yummiest gifts. It is round in shape and weighs half kg. Frosting of vanilla is used with pineapple syrup on it. 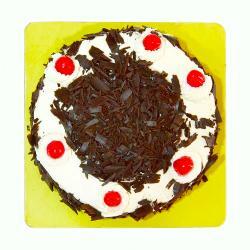 The cake is garnished with geometric patterns of pineapple crust and whipped cream. Each sweet ball of whipped cream is decorated with glazed cherries and intermittent spaces are filled with yummy glazed pineapple pieces. 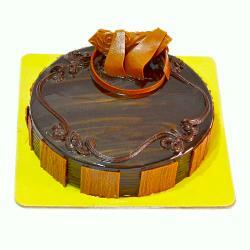 This heavenly tasting cake is bound to enthrall your loved ones and show them how much you care. 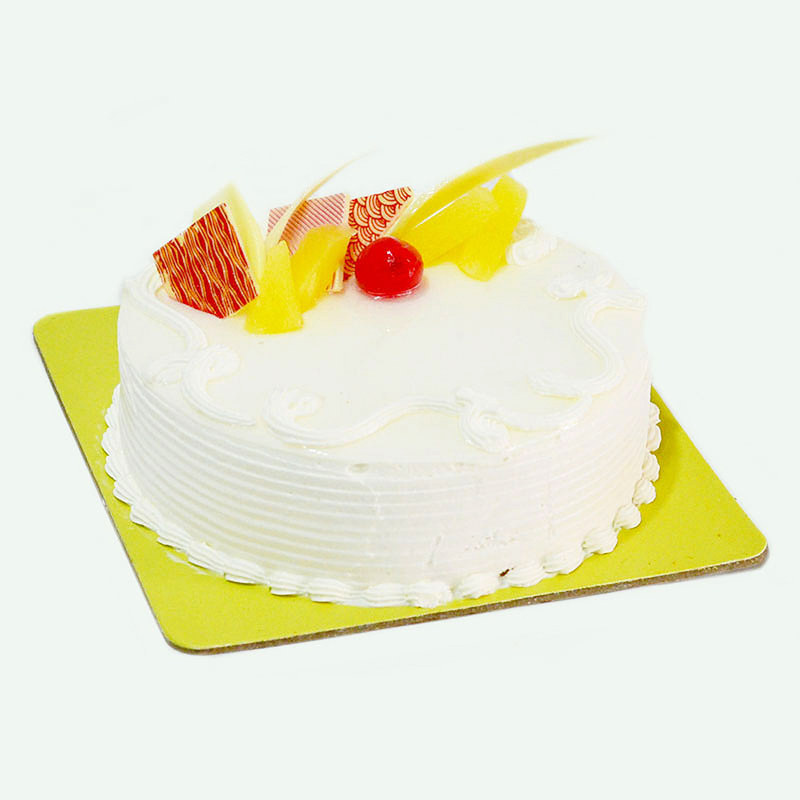 Buy it online fresh cream pineapple cake Now (Design and topping of cake may vary as per availability).